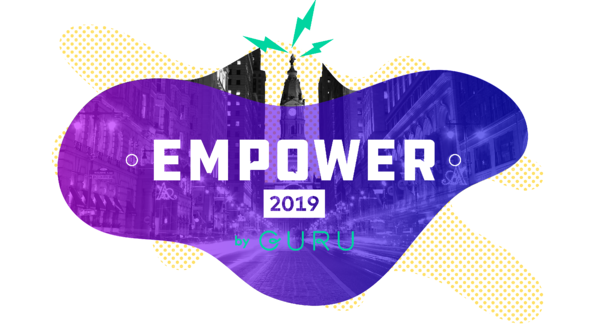 Let me guess: You’ve seen the speaker lineup for Guru’s 2019 conference Empower, you’re excited about the insights you could glean from execs at companies like Slack, Google, Square, and Forrester, but with that excitement comes a familiar feeling of conference skepticism. You’ve been to too many conferences where the speakers inspire you to step up your game, yet instead of returning to your desk ready to execute on that inspiration, you only feel overwhelmed and unsure of where to start. Why would this conference be any different? One of the biggest conference frustrations is the comedown that awaits you after the post-event glow fades. For most events, chances are you attended eye-opening sessions led by the best and brightest in your industry and left each session energized and excited to effect change in your own organization. At the end of each day your head was probably buzzing with half-baked ideas that you knew had great potential if you could just sit and work through them while they’re still fresh. The problem with most conferences is that they don’t give you the time or tools to nurture those ideas while they’re still new and exciting. Sure, it’s cool that exec XYZ managed to reduce ramp time at their company, but how can you learn from their success and apply those learnings at your company? You’re supposed to figure that part out when you get back to your office. But, more often than not, as soon as you get back, the reality and urgency of the job you left three days ago to attend the conference come rushing back. 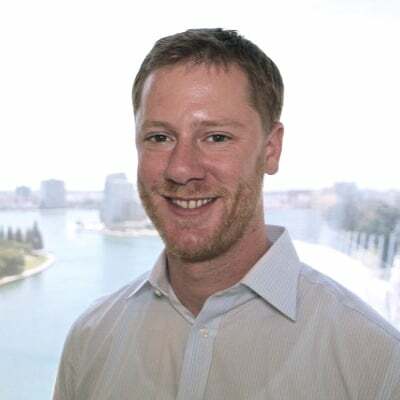 At Guru, we’re all too familiar with that feeling, which is why we’ve created Empower with the goal of providing a new, actionable conference experience that empowers attendees to connect the learnings from every keynote and every workshop directly to their own personal use cases – during the actual conference itself. To deliver on actionable, we’re setting expectations that attendees will work through real life challenges at Empower. We’re baking time for reflection and action planning into every session and keynote, so that the inspiration sparked during each talk isn’t lost to the general blur of an jam-packed day at a conference. We’re dedicating a large chunk of the conference to interactive workshops designed to walk participants through a thoughtful exercise in building a concrete plan to implement solutions at work post-Empower. The ultimate goal is to send attendees back to work with new ideas to improve processes or kick off projects that are more than just half-baked. We want to empower people to work through those ideas while they’re in that headspace at the conference itself and set up real next steps and timelines to make the most of the Empower experience. 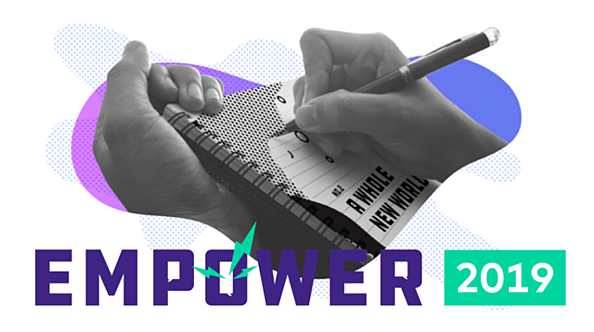 To help attendees make the most of their time at Empower, every keynote will include time for contemplation and brainstorming. Our speakers will prompt the audience to pause and think about which aspects of their presentations are most relevant to their day-to-day work and encourage attendees to spend time thinking about how those ideas can be applied to their ongoing or upcoming projects at work. The conference booklets will have space for notes, brainstorming, next steps, and more so that the valuable insights shared by the best in brightest in sales and CX don’t get lost in the shuffle. Empower is not a break from your day-to-day – it’s an extension of your day-to-day. We’ll take personalization a step further during the workshopping sessions at Empower. The workshops will take place within the community cohorts so that every attendee can work through their ideas with a group of people in similar roles who are working through relatable ideas. If you’re a CX leader brainstorming ways to ramp up your customer education efforts, the person sitting next to you may be focusing on a similar challenge or have insights to share with you from their own CX experience. Contrast that to brainstorming next to someone in sales with no particular thoughts or feelings about customer education because they’re focused on trying to accelerate deal cycles. These workshops will encourage participants to explore a challenge, imagine a new world where that challenge is solved, and make a concrete action plan to make that solution a reality. We’re not talking vague aspirations here – we’re going to ask people to commit to taking steps to make a particular solution a reality. The goal of a conference is to level up with the leaders in your field right? Alright, so let’s actually do it. Here’s the time and space you need: make it happen. 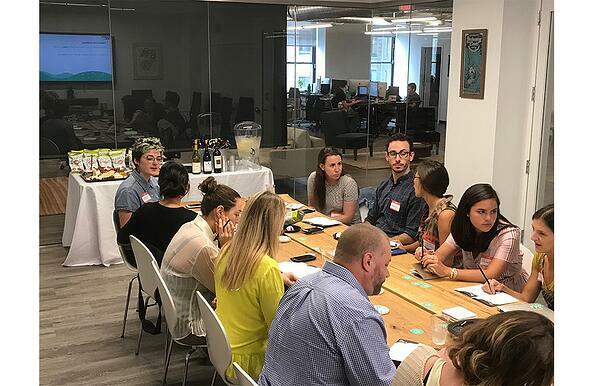 We tested this strategy out with Empower Salons, small workshops tailored to roles like sales and CX, where we walked participants through creating an action plan to tackle a specific problem at work. The workshops during the second half of day two at Empower will be structured in the same way. Attendees will spend time with their community cohorts working through real challenges they’d like to tackle, and develop concrete plans to bring those solutions to life back at work. 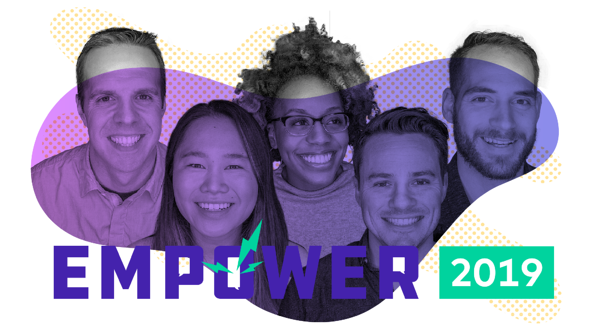 As an Empower attendee, you’ll be leaving Philadelphia with something better than a souvenir – you’ll be taking home a well thought-out action plan. (Souvenirs are fun too though! We recommend a Gritty bobblehead.) You may be used to returning from a conference with a head full of preliminary ideas that get pushed out of the forefront of your brain by the urgency of your job and overflowing inbox, but after Empower, you’ll head home with the groundwork already laid to put those ideas into action. Ideas are great. But they're even better when you turn them into action. If you’re going to commit to spending three days at a conference, the least we can do is send you back to work with inspiring ideas from industry-leading sales and CX executives and a concrete plan to actually incorporate those ideas into your day-to-day. These leaders are eager to share their secrets for success with you, and our team at Guru is eager to help you make their success your success. Instead of letting ambitious conference inspiration fall to the wayside when you get back to work, register for Empower and spend time turning that inspiration into reality. Psst! Registration ends April 19. Save your spot before we sell out!